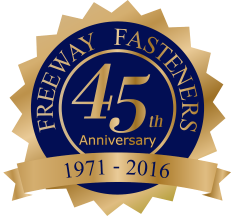 It's that time of year when we say 'thanks' for the things we are grateful for, and we of course are thankful for fasteners. Screws are the pervasive and unseen power holding our industrial world together. Solely gravity can claim a better ability for preserving items together. 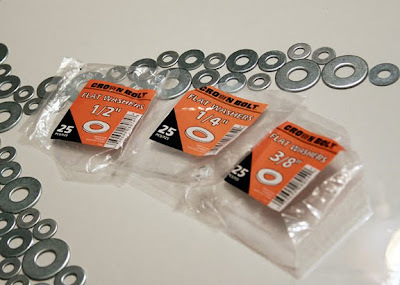 Once one speaks of fasteners such as tek screws, zip screws or self tapping screws, one pertains to all manner of fasteners, bolts, anchors, Velcro, threaded bars, and so on. Fasteners hold two or far more objects in place, with the aim of enabling zero movement. A screw joins two items as one. You may possibly most of the time wonder: why don’t individuals just construct things as one piece in the initial arrangement? Why use the middleman of screws? The answer is that not everything is small & adequate to erect, ship, or otherwise manipulate. Without fasteners, there would be no skyscrapers. There would be no cars. There would be no Velcro tennis shoes or quick-release point costumes. Most screws are made of steel, but there are many cases when plastic screws will do the trick. Plastic material fasteners are non-conductive, and, in many circumstances, heat-resistant. Whatever type of fastener you need, there is one on the web for every single kind of job imaginable. Simply think: people are tool users, and screws are arguably one of the single most very important tools in history. If there had been no fasteners, you almost certainly wouldn’t be alive today. From toys to tuna, cars to chemicals - the mighty fastener is helping to make all of it. So, to the fastener gods, thank you! Why the need for industrial fasteners? Have you heard of Usain Bolt? He's insanely great! Usain Bolt is the 2011 World Male Athlete of the year, becoming only the second man in history to win the prestigious award on three occasions. He holds World Records and he's won Olympic Gold Medals; he's arguably one of the greatest runners of all time. "He is the epitome of FULL MASTERY of your instrument. He is in the OLYMPICS and 10 meters before the finish line he drops is arms and starts to pound his chest!!!!! He has sooooo proven himself that he doesn't even need to finish. Look at all the other athletes behind him and how intensely they are concentrating while he just gallops across the finish line as if he were a young colt on its way to an open pasture." My friend goes on to say that as a spectator, there is a moment of disbelief, of awe, at what they are seeing; there's a joy at watching someone that is so good. She made wall-hanging pictures out of washers! 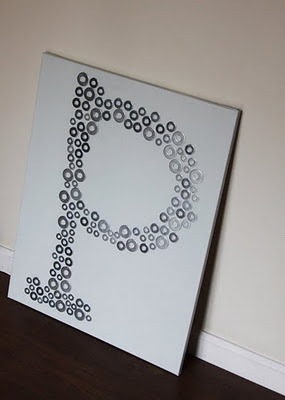 A simple idea that I think are super sweet. 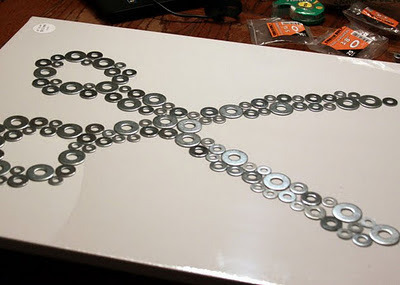 She makes different letters - I want an 'FF' for Freeway Fasteners! What else could she make? An orange, a chair - maybe a bolt! Even a lightning bolt would be cool. Canvas, some washers and some glue...simple & sweet.